If you have our CMS system creating a news item that includes audio is a very simple process. Essentially all you do is create a voice recording on your iPhone built in memo App, send it to yourself, convert it to an MP3 then add it to your site via our Sound Manager pluggin. 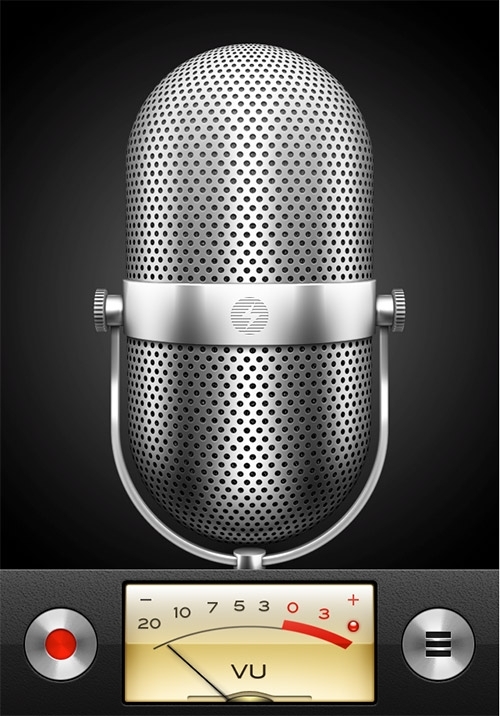 Your iPhone records the audio in good quality using the m4a format which is part of the MPEG-4 format. Although it is only recording in mono the quality is regarded highly and the interface is nice and simple. Start by deciding what you want to say and after a few rehersals you should be ready. If you are not happy with the sound delete it and start again. We often notice journalists using their iPhones to record interviews where previously they may have had a specific hand held recorder or far more professional equipment. Previously to get a recording that was reasonable, that is better than a cheap computer microphone, we had to buy recording equipment - now many of us carry good quality recording equipment in our pockets. Learning how to correct audio and cut together snippets is not difficult to learn and can add value to your audio and videos.